From July 4th, VIVa MUSiC and Steve Lawler create a brand new date in the Ibizan clubbing calendar with an exciting new night at Sankeys. Steve Lawler, who’s had a lengthy career deeply entwined in UK electronic music culture, has a triumphant 12-year residency held at Ibiza’s Space nightclub under his belt. This year, while still appearing for selected Kehakuma dates, the recent Space opening and then closing fiestas, Lawler plans to leave his own stamp of individuality on the island with a concept that pays homage to the 1979 cult thriller ‘The Warriors’. Sankeys has made a name for itself in Manchester showcasing some of the world’s best DJs and their Ibiza venue is playing the perfect part in creating the home turf for Steve, with names such as Guti, Onur Ozer and Livio&Roby, alongside house connoisseurs Sacha Dive, Frank Roger and VIVa Music’s Darius Syrossian. Steve is set to bring a crew of DJs with a mix of skills and talents, teaming up with local ibicican artists to complete the raw graphical identity of the night. Close label friends M.A.N.D.Y., Tiefshcwarz, Steve Bug, Martinez, Derrick Carter and Detroit legend Kevin Saunderson step up, giving nod to Steve’s house music roots, whilst assembling vivid reminders of classic sounds that still manage to sound perpetually like the future. 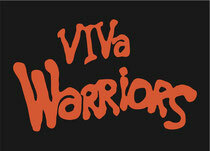 Steve Lawler’s VIVa Warriors takeover every Wednesday @ Sankeys, Ibiza from 4th July.